One of the great things about staying at Loch Monzievaird recently, was the huge range of dog walks all within a 45-minute drive. 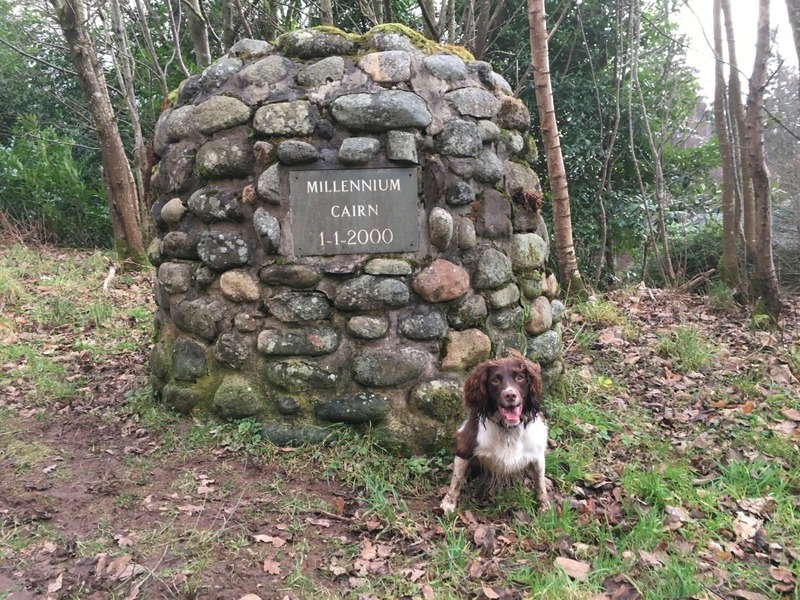 On our first day at the lodge and after a little bit of research online, we opted for one of the dog walks in Perthshire. 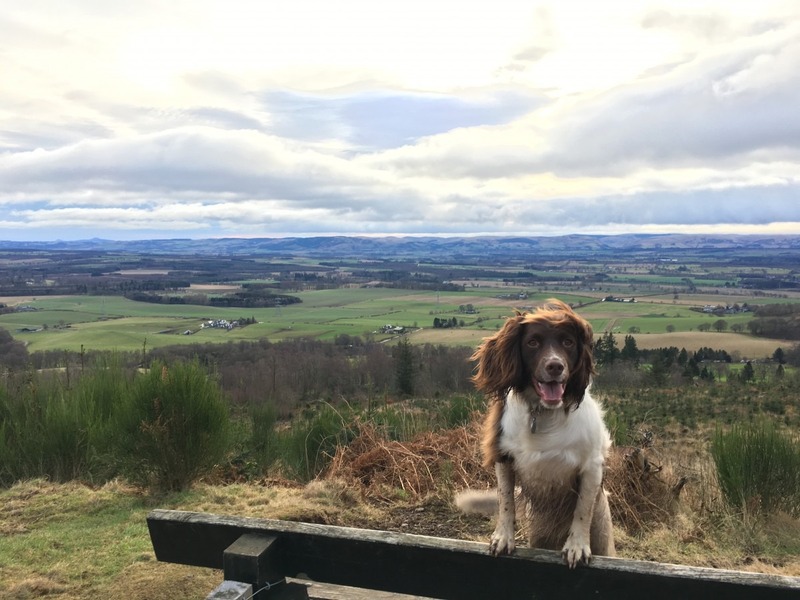 The Knock of Crieff is a circular route with optional extension and despite the grey clouds that were looming, it promised stunning views across Strath Earn and not too onerous at just 90 minutes. Enough to tire Millie out but short enough if the weather suddenly changed. 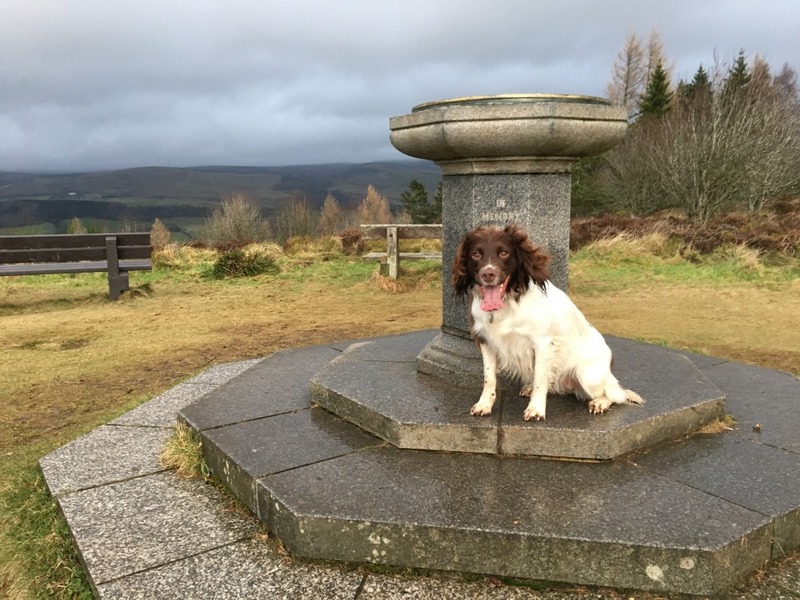 A perfect location for one of the best dog walks in Perthshire and during warmer months, there are several spots that would suitable for that picnic with a view. We loved it so much we popped back later in the week for another walk, this time anticlockwise! As you make your way towards Crieff Hydro Hotel, you’ll head north on Ferntower Road, which turns a sharp left. Before you reach the hotel and car park, you’ll find a road off to the right-hand side, with signs for the riding school and lodges. Take this road and follow up past the riding school and lodges. Just a short distance up this road, you’ll find two car parks. Use the first car park (free of charge) where you’ll find both walking routes below sign posted at the start of the walk. While the path is marked throughout, they aren’t always easy to spot but as a circular route, you won’t go wrong. From the signs, turn right and up through the woods. It climbs steeply through the trees but I promise it’s worth it! Taking this route ensures that you get to take in some of the best views of the walk. The path itself will emerge out onto a small summit with benches and enough room to have a picnic and take in those views. The view is stunning (even when it’s just grey clouds) across Strathearn and if the visibility is good, you’ll spot Ben Vorlich to the west. Once you’ve taken a zillion photographs, you’ll then carry on via the path. This section was a little muddy in parts so remember to wear appropriate footwear. You’ll find the track turns left and then right to join with a forestry track that runs around the Knock. On the right-hand side you’ll find large wooded areas but as you’ll see from the photograph below the left-hand side is clear. You can admire the fantastic views throughout this section and plenty of room for your fur-kid to enjoy a runaround. 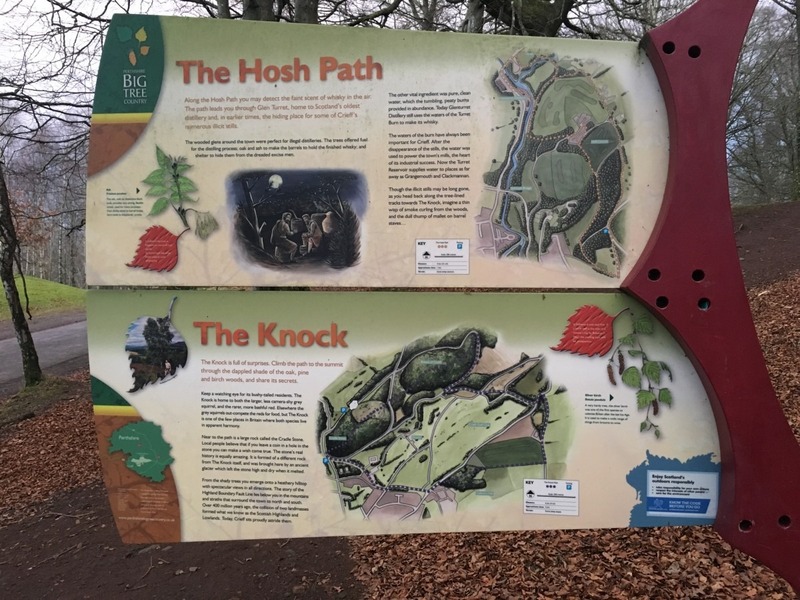 There are lots of mountain bike trails that are great to explore and you’ll also spot another footpath that will take you up to the highest point. I ignored this for this walk as I understand there isn’t a great view and surrounded by a forest. Instead, we continued on via the track. 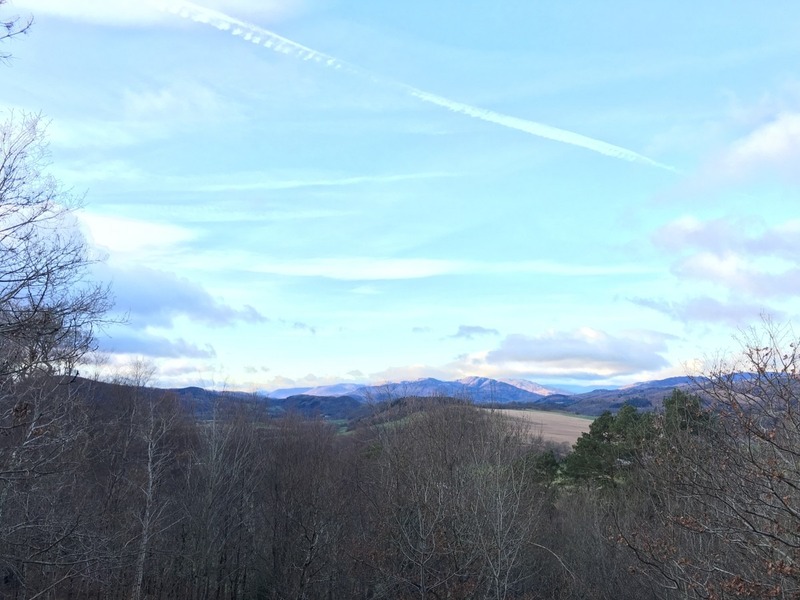 You’ll find that the view switches to the right with the left side flanked by forestry. The smell of Christmas trees was amazing as we continued on down the walk. The path turns off to the right and again you’ll spot lots of little sections that turn off for various sports activities in the area. There were also little sections of streams following the rain overnight. Perfect for Millie to have a splash and some recovery time! The path descends downwards and you’ll reach a large mortared cairn which was built to commemorate the turn of the millennium. Just after the cairn you could double back by turning left and immediately left, however, there are parts of that extension that involve crossing roads (about 0.5miles along the main road). As Millie was having so much fun off lead, we continued onwards with the Crieff Golf Course on the left-hand side of the path taking us directly back to the car park. One happy dog and while we had a small walk around Loch Monzievaird later in the day, she was zonked! As I mentioned at the start, we loved it so much, we came back later in the week but this time walked anti-clockwise. We were even lucky enough to have a gorgeous blue sky this time! 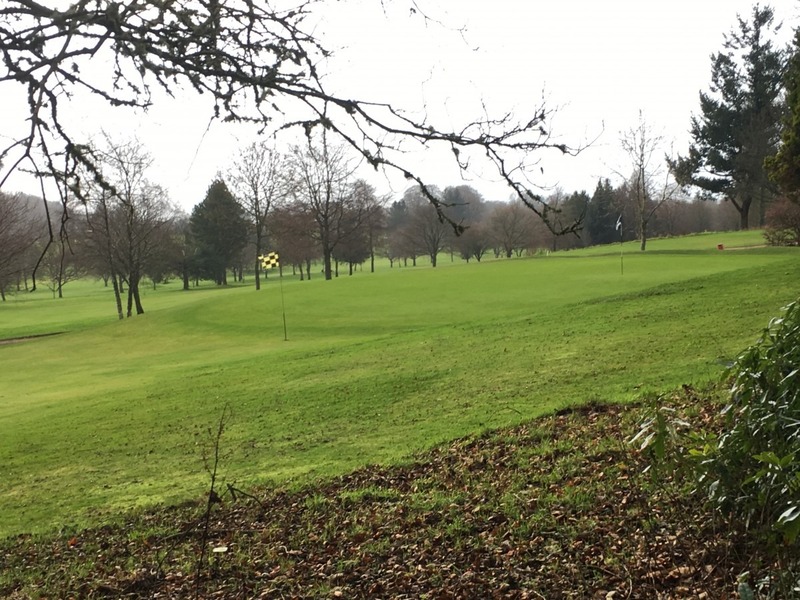 Are You Staying in the Perthshire Area? 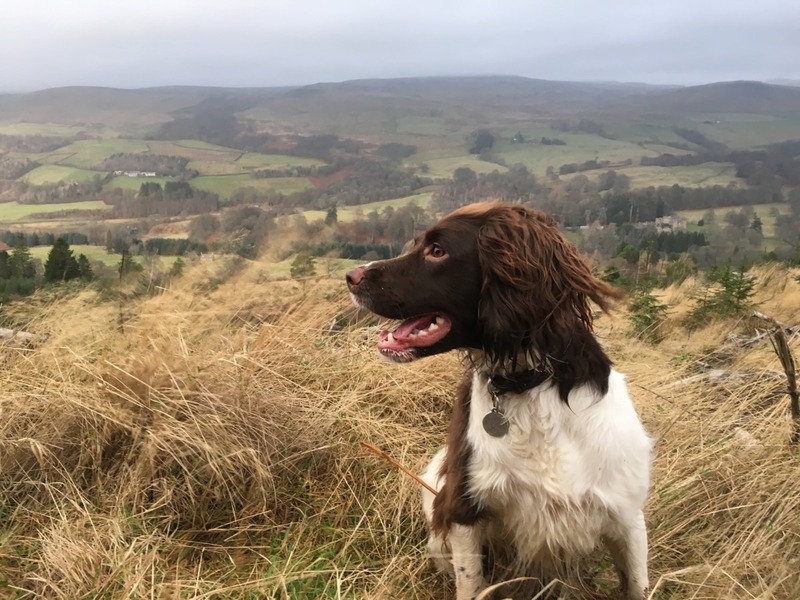 If you are visiting the Perthshire area, then you may also be interested in booking dog-friendly accommodation in the area. You can read our review of the fab lodges at Loch Monzievaird HERE. You may also want to check out the best of our dog travel accessories. I’d recommend the Guru trip bone if you plan to stop for a picnic while on your walk or spending the rest of the day exploring. Otherwise, if you are looking to venture further afield, why not head north to Aviemore as part of your Scottish adventures and extend your stay. Both Loch an Eilien and the Craigellachie Nature Reserve will keep you occupied!